One of the key fisheries on the West Coast is coming back after years of decline. That’s prompting a sustainable seafood group change their consumer ratings for almost two dozen fish species from “avoid” to “good” or “best” choices. The species are all considered groundfish, fish that show up on restaurant menus as rock cod, pacific snapper, black cod and sole. In 2000, the fishery was declared a federal disaster because catches were so low. The fishery has experienced dramatic changes since then, including stringent new fishing rules under a “catch share” program and the closure of fishing grounds in favor of marine protected areas. As a result, the Seafood Watch ratings for 21 fish are going from “avoid” to “good alternative” or “best choice.” In all, 84 percent of the fish caught in the commercial groundfish fishery have those ratings. “It’s probably the single greatest number of species that have moved up,” Roberts says. Under a catch share fishing system, each fisherman is given a quota for each species he or she fishes for. On-board observers count every fish that’s caught in order to reduce the amount of by-catch, fish that are accidentally caught and thrown overboard. Fishermen will be responsible for paying for the full cost for the observers by 2015. The system was controversial when it was implemented in 2011. According to results from NOAA, by-catch is down and revenue is up under the system. 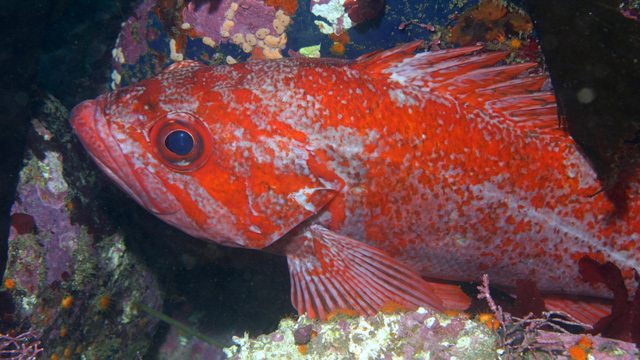 While it could take decades for many rockfish species to bounce back, some, like bocaccio, are expected to recover in half the amount of time that was originally forecast.